Last week I couldn’t stop singing Paul Oakenfold’s “Starry-Eyed Surprise” as I worked on the post for my star-print dress and now I can’t stop singing T-Pain’s “Low,” specifically the “boots with the fur” lyric, for obvious reasons. (My music choices are questionable, I realize this.) 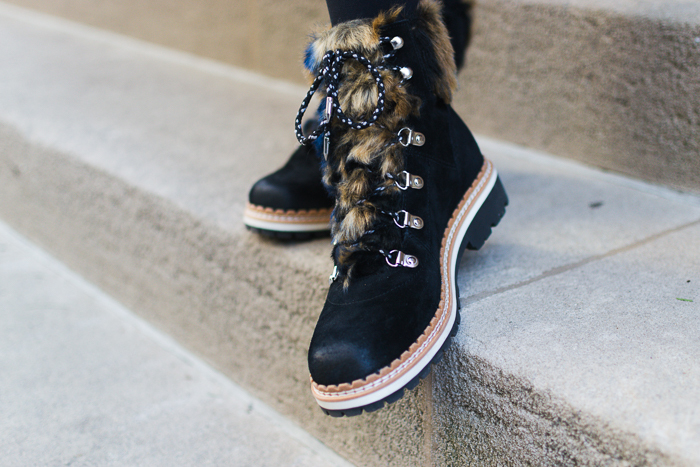 Hiking boots really aren’t my thing, but I fell in love with this quasi-practical pair because of the speckled navy and tan fur. 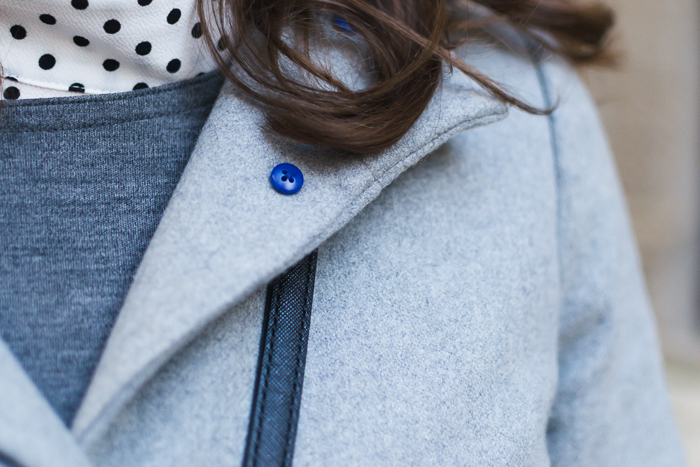 It’s such an unexpected accent on a winter staple, and it’s pretty fun to boot. (See what I did there? 😉 ) I walked a few miles in them on Saturday and they stayed comfortable and plenty warm. Admittedly, we weren’t exactly experiencing true Midwestern winter temperatures at the time, but they seem like they’ll be a good choice when I’m not actually trudging through snow.